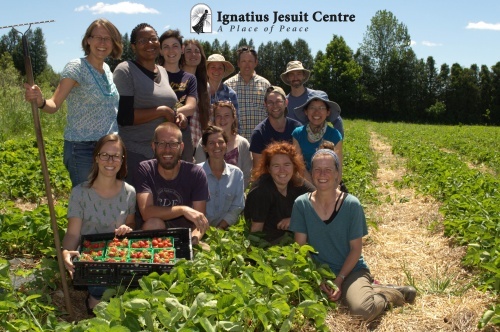 Ignatius Farm is an integral part of the Ignatius Jesuit Centre in Guelph Ontario, whose key mission for more than four decades has been to foster an ecological way of life through agriculture, spirituality, and eco-restoration. Your farmers love growing food, working in synergy with the soilecosystem, and getting to know you!Farm Manager Heather Lekx, andFarmers Donald Bowyer and Mike Smithwork with seasonal staff, interns, Working Shares, and volunteers to grow your food and take care of the farm. We all care about our health, and want to do what is best for our family. Eating produce fresh right from the farm means nutrition and flavour! Ignatius Farm produce is certified organic by an independent auditor, ECOCERT, who verifies that no harmful synthetic chemicals, antibiotics, hormones, preservatives, or genetic engineering are used. Feel good about the food you give your kids, and know you’re supporting a farm that works with nature. Every are cropped in produce is matched with at least one acre of soil-building, carbon-sequestering cover crop! We work hard to protect our land, water, and air, and invite you to come see how we do things for yourself.